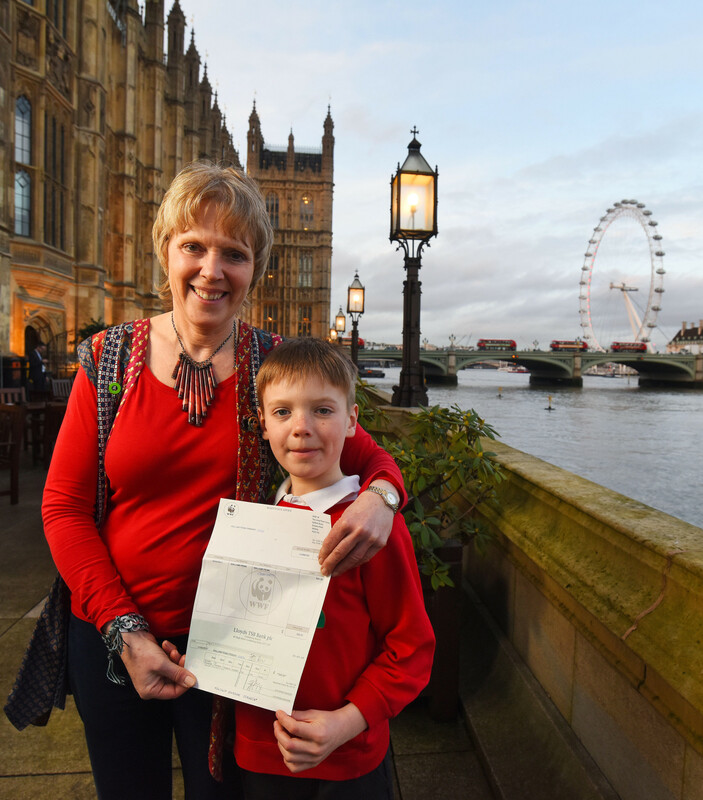 A mother and son from Sussex were both acknowledged for their inspirational environmental work at the WWF Earth Hour Parliamentary Reception at the Palace of Westminster on 28th February. Carrie Cort was shortlisted for the WWF Community Hero Award for climate justice work within her community, whilst her nine-year old son Adam won the KS2 WWF Climate Challenge ‘The Future We Want’ poster competition. 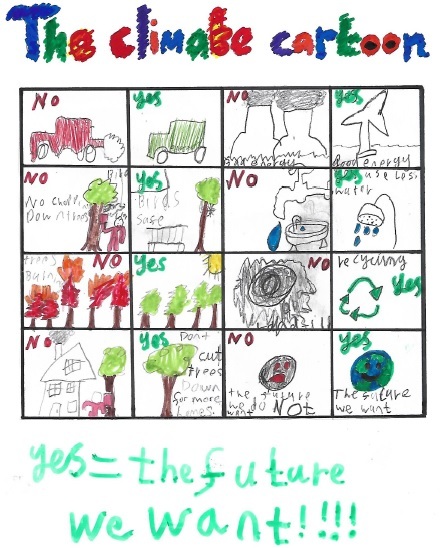 Adam – a pupil at the William Penn School in Coolham – designed a poster which depicted polluting images from forestry, waste, water and transport and offered a sustainable solution alongside each. He clearly conveyed the varied impacts and solutions to climate issues. Living, which educates children and families on sustainability, climate change and environmental issues. The WWF Earth Hour Community Hero Award recognises an individual who has brought their community together to help make a real difference to the environment. At the age of seven Adam earned his Blue Peter Badge for inspiring other children with his greener living knowledge. In 2015 he attended the BBC Surrey and Sussex Community Hero awards, where he and Carrie were recognised for their environmental education and awareness work in their community, winning the Green Champion award. Carrie says “Adam and other children like him fill me with hope and inspiration for the future; they so understand the need to look after the planet which sustains them. They are my green warriors helping to convert their parents and other adults in their lives”. She continues “‘We now need to urgently inspire and motivate everyone else to conserve natural resources, reduce the effects of climate change and live in greater harmony with nature”. Readers inspired by Carrie’s achievements can get involved in WWF’s Earth Hour – the world’s largest demonstration of support for action on climate change, by signing up and switching off their lights at 8:30pm on Saturday March 25. - An Eco Beast Sculpture Competition (upcycling) for schools, nurseries and children’s groups throughout West Sussex. - Running a community creative sewing group which deliver workshops to encourage people to reuse, redesign, remake and repair clothes and textiles. - Continuing her work with a Climate Change and Energy Group she helped to set up with the local Transition Horsham group, who are communicating with West Sussex policymakers. - At the national and international level Carrie is working with other Climate Reality Leaders to help the UK to fulfil its commitment under the Paris Agreement. She also delivers Al Gore Climate Reality presentations.